Which is the waste of money? A National line that is doing the rounds goes that if National wins more votes than Labour but can’t govern alone it would be undemocratic for a Labour-led coalition to form the next government. After all, in this scenario, National has won more votes than anyone else, so it should be the government, right? Wrong. That’s First Past the Post thinking based on the false premise that Governments are still comprised of a single party. We live in an age of coalitions and alliances; it is the alliance of parties with the most support, even if it does not include the single most popular party ,that should govern. That is democratic, that is just. Should a National Party that wins 45% of the vote get to rule instead of a Labour, Green, Progressive alliance of 52% just because National gets more votes than Labour? Of course not. The LGP coalition, in this scenario, represents more New Zealanders, and that is the crucial test of the legitimacy of a government. Where is the democracy in allowing a minority party to rule instead of a majority coalition? Why should minority parties feel obliged to acquiesce to a National Government if they can form a government that better represents their voters? We didn’t hear claims that Labour should automatically form the core of the Government in 2005 just because it had won the most votes. No, we had several weeks of negotiations to decide the incoming government would be Labour or National-led. If a larger governing arrangement around National could have been formed (which it couldn’t because of National’s dearth of allies), that government would have been legitimate. Parties should not feel some bizarre compulsion to allow the largest party to govern just because it is the largest. Whatever is the alliance of parties that most voters voted for should form the government, with or without the largest party. It’s good to see reality finally dawning on you though Steve. I think Winston should govern, if the other parties don’t submit to his whims damn their eyes. I think your a little confused. Its not the minor parties looking to the biggest party, but the other way around. The biggest party NEEDS the minor parties, and not vice versa. Joel are you Winston or Peter ? No, If a minor party wants to be in Govt then they need to cut a deal. It’s not in their interest if it’s a desperate mish-mash of small parties thats likely to crumble. Not on current polling and trends. The alliance of parties with the most support form the Government? So Mike, by your rationale it would be possible for National to rule alone (I think we all know they’re not going to crack the 50% threshold, unless you actually thought to believe the Heralds polls…)? I think you might want to have a think about who needs whom. So you guys will have no problem at all, if Labour wins more votes and more seats than National (Don’t laugh, it could happen)but National gets in because of a coalition with NZ First? Yes obvious really LGM because the Maori party and the greens get along really well and the both love the Labour party mmmmmmmm obvious really. Of the smaller parties Anderton is Labour, Winston and Peter will whore themselves to the highest bidder and ACT will go with National. Don’t be surprised to see both the Greens and the Maori party take a principled stand and remain outside of government only to support on supply and confidence in return for certain policy concessions. captcha Waltz quick ……oh yes you bet they will be after the election. No, because Labour would have the first chance to form the Government. It seems you are challenged by the concept of MMP. Its not that difficult, honestly. Labour would have the first chance, and if they can’t pull it together of COURSE the other top party should have a go at forming a government before it all crumbles back into another election. Christ. You assume that this is because we’re miffed about National, but really its more about the fact that we support MMP and how it functions. I agree with the general thrust of the post, but despite that the centrist minor parties are faced with a dilemma. Do you say who you will go with after the election, or do you refuse to say? Either way has some pluses and minuses, but saying you will negotiate first with the largest party is really refusing to say, without the negative perceptions of that. And of course they will sell it as the most democratic option, rather than saying we’ll be holding them to ransom first, but may move on to the next biggest if they aren’t willing to pay up. I find myself agreeing with Steve for the second time in about a week. Yikes!!!! My friends seem to think I’m some political expert; they often ask me about what I think is going to happen. I say that I think National will beat Labour, but I’m not sure who will form the next Government. I expect the Nats will end up in the mid-40s, Labour in the upper 30s, so where the other votes fall will determine who forms a coalition. Under MMP, for better or for worse, the 2nd placegetter in an election can form the government. People can moan about it if they like, but them’s the rules. national sem to think that the government should change solely because they wish it so. Key has some way to go before he is truly burnished by the fire and the Labour government represents security in a very uncertain world that cant be offered by the other parties. Its quite simple really. The Greens have at least made it clear. and then before the election state their preferred partner. So I guess they are waiting, (as we all are) for all the parties to release their policies. The MP are more likely to wait till after the election so that they can perceive to be in a stronger bargaining position which is what is stopping the Greens and the MP from forming a closer alliance. I think its pretty obvious that both Maori Party and Green voters would demand huge concessions from National in order to put it in power. On most issues, both parties are to the left of Labour. This doesn’t mean that Labour should treat them like the proverbial stool. The concessions that would demanded for support would likely impair any National Government so that its own National Party supporters would be baying for its blood within a year. Neo-liberalism is just not popular – i.e. it results in Act level support. Even Paul Hutchison recognised this when he criticised Roger Douglas as a man with “somewhat unrealistic and extreme views that won’t carry a lot of people with him. I just hope Dr. Hutchison is quick to recognise, and denounce, the same “extreme views” within his own caucus. Not the way you explain it. As usual with NZ’s political commentary, the media parrots don’t bother looking beyond our shores. There has been no constitutional crisis, and no effect whatsoever on either the democratic system or the economy (of course policies have affected the economy but that’s a different thing). The Governor-General could have been asleep for 12 years. But that’s a really dull story. So let’s ignore it, and try and create a REAL DRAMA in which … um … MPs are elected, and there are negotiations, and then there’s a majority in Parliament. As usual. Oo er. So when Labour campaigns on green issues, Maori issues and assaults MMP with it’s “Two ticks Labour” campaign, which of the minor parties will want to work with them? I agree many will sell out on their principals and quickly forget that Labour tried to grab all their votes if there is a chance to grab the reigns as a minor coalition partner. It’s not looking good for the major parties (either major party) if people wake up to how major parties have so desperately tried to keep FPP alive and force their one size fits all mentality on NZ voters in an effort to govern alone. Spin-busting with spin… how delightful! What I’ve heard from National is that they don’t expect to get a mandate to govern absolutely alone, and will deal with other parties post-election to form coalitions or deals… that’s entirely reasonable. What is also entirely reasonable is that the single largest party should have first mover advantage in attempts to form a government. They have the closest thing to a mandate, pre-negotiations, and will probably have an easier time forming a government because there are likely to be less conflicting agendas to work through. 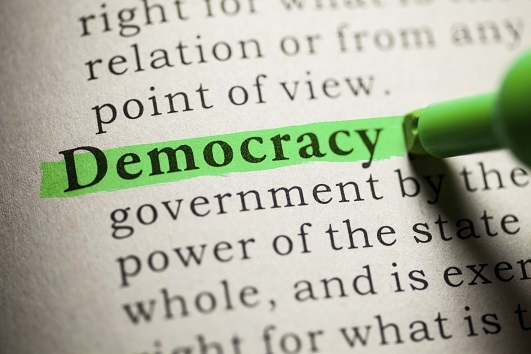 What you have attempted to do (and let’s be absolutely clear about this; YOU are making the inference, not National) is subvert that to make it look first mover advantage equals democratic right to government – it doesn’t – and National has made it clear they accept that. Your attempts to turn their words are as shallow as our hydro lakes. Phil. No, this is a line that National is running around the traps, and you’re starting to see it show up unquestioned in media. like colin espiner’s piece yesterday. There is no such thing as ‘first mover advantage’. All that matters is who ends up with majority support in the House. If that is the largest party, then so be it; if it is not, then better luck next time. BTW, this happens all the time in other countries. The largest party in the Swedish Parliament is the Social Democrats – who are in Opposition right now, because their opponents were able to get over the top via coalition partners. But going by your logic, to be truly democratic the minor parties should declare who they will would go with before the election. That way we don’t get a scenario where 90% of NZ1st voters prefer a coalition with National, but get Labour. Also, you lefties would be screaming from the roof tops if Dr Brash formed a coalition govt. He had the Maori Party, UF, & Act on board. But thanks to a certain ‘anonymous donation’ NZ1st was already spoken for. I agree. And in 2005 the Maori Party explicitly said they would not support Don Brash. Now, which way to the rooftops? Well you are half right. National had to forget about wanting to abolish the Maori seats in order for the Maori Party to do a deal. Don’t believe me? There was news stories at the time about a letter drafted to Winston with Maori Party & UF signatures. But as I said, Winston first was already spoken for. Well it is only the Green Party which is truly democratic then ? Ah yes, the Hydra Coalition. Multi-headed, poisonous, and fortunately mythical. NX – yes, I’m well aware of the drafted letter, with Turia backing Brash. You seem less aware of Turia’s unequivocal, 100% clear promise to her supporters. She did the opposite of what she promised, and the opposite of what you called for above. End of story. I’m not going to argue with you whether the Maori Party would’ve signed some sort deal, confidence & supply, or otherwise with National because I don’t know. But I do know the ‘last cab off the rank’ weren’t/aren’t happy with how Labour funds programs to advance Maori. That is the funding, while generous, is part of some Wellington driven initiative. From what I understand Turia preferred a more independent tribe based model – which isn’t miles away from National party philosophy. Also Turia, to her credit, refused Glen Owens bribe so is genuinely free to negotiate with whoever. Now you say you don’t know. You’re more slippery than John Key. Your other points are all very well, but are really just an attempt to change the subject. The issue: minor parties supporting major ones. The argument (yours): minor parties should tell the voters before they vote. The fact: the Maori Party broke its word. But in doing so, it went the way YOU wanted, so your point of principle suddenly disappears. You are quite right to highlight the change in Winston’s before and after positions, but please don’t pretend you are motivated by principle, by the importance of promises to the voters. Winston just went the wrong way for you. I look forward to you insisting that John Key now keeps HIS word, and continues to rule out ACT from his government, as he so strongly stated (“I’m buggered …”). Or do you want him to break that promise? ‘On board’ in the sense the Maori Party signed that letter. Whether they would’ve gone the whole hog if Winston played ball, I dunno. Sorry gobsmacked my crystal ball isn’t working today. I don’t recall the Maori Party making a firm decision to back Labour after the election. What I remember from the debates – when Turia was asked the question (who the Maori party would go with) she left it very much open. But the Maori Party example actually furthers my point where UF, NZ1st, & the Maori Party stand on who they’ll go with isn’t very clear. The other political parties are reasonably clear. Re: Winston; I knew he didn’t like Dr Brash, but I was still surprised he went with Labour given his conservative voting base. Re: John Key; I dunno what you think he said, but I for one would prefer an English finance Minister rather than a Douglas one. When all else fails we could always try a TweedleDum-TweedleDee Coalition Government like they have in Germany at the moment. This wouldn’t be such bad idea given the size of the economic, climatic and international crises. Ooops, bit of a typo in the post. That should of course, read 42%, and even that will be a stretch. One of the reasons we went for MMP is so that the government would be less unilateral. The price of that is that if the largest party doesn’t have the majority of seats, they merely have an advantage at negotiations, rather than automatically becoming the government. It is still democratic in that everyone’s party vote is counted and represented in Parliament. It isn’t direct democracy, but then again, FPP was even further away from that than MMP is. Uroskin- I would be surprised if that happened. While National has now moved close enough to the centre that it might be viable, the only essential principle National seems to agree on right now is that they oppose Labour. It would take them a lot more time before they were ready for the possibility of a Grand Coalition, I think. ari your post implies that national has prinicples which is not so. if one looks into their policies or lack of them it is easy to discern lust for power, desire to dispense patronage and making money off the sale of state assets as being the prime movers for their political involvement. oh and personal status.